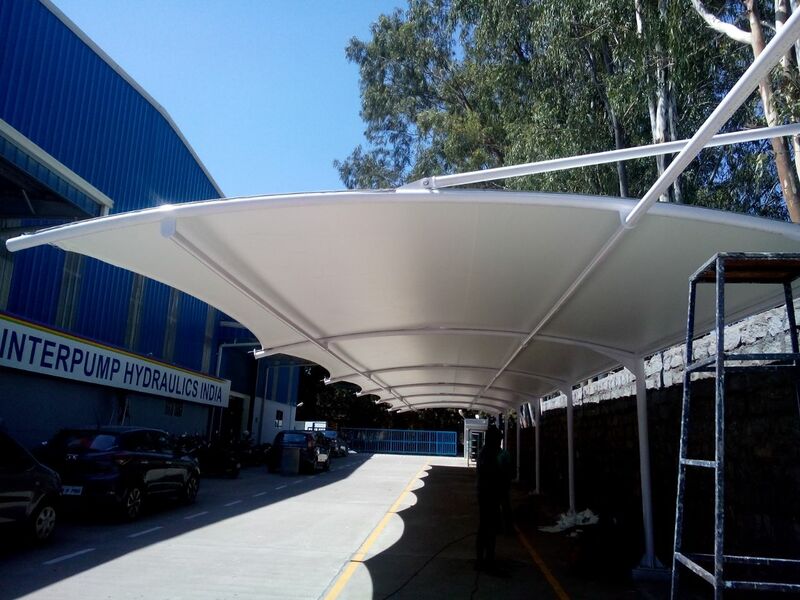 HYPER MODEL FABRIC STRUCTURES Our range of tensile fabric structure is highly acclaimed by our customers for its vivid colors, light weight, flexibility and high quality material used. This is the suitable solution for the beautiful entrance structure of windows and doors. We believe in the complete customer solution so as we providing them on time delivery of our flawless products at their door steps.